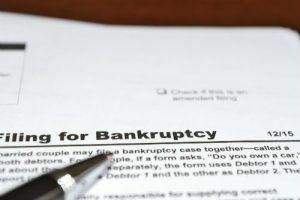 What You Need to Know about Bankruptcy Fraud - R. Flay Cabiness, II, P.C. Bankruptcy can be denied for a variety of reasons and fraud is one of the most common. Any time the court suspects someone has attempted to hide assets or income or has not been 100 percent transparent regarding their financial situation, they can dismiss the case with accusations of fraud. And unfortunately, these accusations of fraud can occur even if the filer made an honest mistake. One of the most common reasons issues related to fraud arise during bankruptcy is because a creditor calls a debt into question. If you list a creditor in your bankruptcy and that creditor claims you obtained the line of credit or credit card using false information, the court can determine the debt cannot be discharged in your bankruptcy. You might worry that creditors will use accusations of fraud to avoid having their debts discharged, but they are tasked with proving this to be the case. Simply alleging there was fraud is not enough – they must file an adversary proceeding within a certain window of time and prove their claims of fraud are true. Granted, accusations of fraud will cause you stress during a time when you need it least, but in many cases, allegations of fraud are nothing more than a hassle and ultimately, don’t affect your bankruptcy. How Does the Court Determine Bankruptcy Fraud? This is an overview of what the bankruptcy court will consider. There are other factors that could be considered and used to evaluate whether or not fraud was committed. To read more about what could constitute bankruptcy fraud, check out Cornell University’s Law School website. With the help of an experienced bankruptcy attorney, you can manage your bankruptcy filing and deal with any accusations of fraud that might arise. Even legitimate and dischargeable debts can be called into question, but a good bankruptcy lawyer will ensure the accusations are proven untrue and that the debt is discharged in your bankruptcy. He or she will also be there to answer any questions and make the process of filing for bankruptcy much easier and less stressful. To learn more about bankruptcy fraud or to consult with someone about your bankruptcy case, contact R. Flay Cabiness, II, P.C. at (912) 554-3774 (Brunswick, GA); (912) 375-5620 (Hazlehurst, GA) or; (912)-554-3756 (Jesup, GA).